Doren is originally from the Municipality of Livingston, in the Department of Izabal, Guatemala. 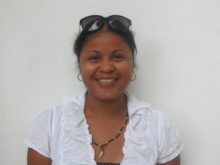 She was selected as a GOJoven Fellow when she was 20 years old. 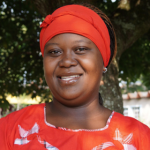 Doren is a Garifuna woman leader and is recognized for promoting the Garífuna culture nationwide. She is also young and incredibly charismatic, dedicated, dynamic, with her own initiative and likes to work as a team. Doren has participated in a workshop on Reproductive Sexual Health, specifically on the subject of HIV / AIDS.